Interview is an important part of the job searching process. Proper preparation and positive attitude can help to find a dream job. Finding a well-paying job after pursuing a course in pharmaceutical is not easy. There are many people who have tarmacked for years looking for a good job in this field but all has been in vain. If you are among this group then you should ask yourself a number of interview questions to ask candidates before going for the next interview. Passing a pharmaceuticals interview should not be a nightmare on your part. There are different things you have to do before, during and after the interview, if at all you would like to secure a job. When attending an interview in pharmaceuticals, you should always be yourself, prove to them that you know who you are and have the ability to sell yourself to the company. The fact is that every successful interviewing will demand a great deal of successful selling. In your mind, keep the points of what the employer is being interested in. Every employer will need to see how much you can contribute to better the company through; money making and profitability, saving time as well as saving money. 1. The company's main working areas. 2. Whether the company working areas suits the skills that you have. 3. And the most important of all, to impress the interviewer in case they ask you, "how much do you know about the company and the exact reason why you would wish to work with them." Once you understand the company and what it is working on, you will be in a better position to answer the interview questions. Here are simple tips to face an interview in pharmaceuticals. The first impression at the job interview is very important. Start by greeting the panel with a smile and firm handshake. Ensure that you maintain eye contact. No organization would want to employ someone who cannot even maintain an eye contact during an interview. You can try to create a talk with other persons attending the interview before your time comes. In other words, you have to sell your good personality to the panel if at all you expect to beat others. Remember securing a job means you have to be the best from the rest. Preparation is paramount when it comes to the job interview. This is not any different when you want to secure a position in this field. Ensure that you go through your CV and the job advertisement before the actual date of the interview. You can look at the website of the company to see what might be expected from you during the interview. There are some organizations that can ask you about the salary you would like to take home. Through proper research, you will be better placed to provide the panel with a reasonable figure if asked. With the high number of people looking for jobs in this field, you have to give the interview panel enough reasons to hire you over others. The company would want someone who is not only knowledgeable but also equipped with good communication skills among other attributes. You have to convince the team that you are simply one in your own class in order to beat other competitors during the interview. Most interviewers want positive minded job seekers. A negative attitude during the interview is likely to cost you the job. Interviewers want to hire someone who enjoys the challenge he or she is subjected to as well as one who maintains a positive attitude all the time. Every company like to select a team player and it should not be shown to interviewers that you like to work individually. There are certain habits that can make lose the interview. For instance, do not fold up your arms or lean back when answering questions in the interview room. Ensure that you control your body language to show your positive side. In conclusion, an interview is all about standing out from the rest of job seekers. The only way you can be unique is getting it right. Adequate preparation is very important when looking for a job. 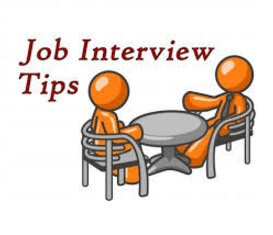 Make sure that you know what is likely to happen in the interview before that day comes. Good information related to Pharma members. Excellent step of mentoring for pharma professionals.